Lawns are our specialty here at Crewcut. Have a read on how you can make your lawn the envy of your neighbours. Should you keep lawn mowing in winter? If you love your lawn, you either need to roll up your sleeves and start that mower yourself, or you'll need to find someone awesome to do it for you. You might really love taking care of your lawn, but there's no doubt there's lots to do. It will need mowing, fertilising, fixing, pruning and trimming - and if you don't love it or you just don't have the time, it's a serious chore. If you'd prefer someone else got dirty instead, you'll need to pick a business that can be trusted with the important task of loving your lawn and garden even more than you do. You'll need to pick the best lawn mowing business you can find. But who? Franchise or independent - How to decide? When it comes to picking a lawn mowing business, you'll discover that there are two main options. There are independent operators, and those who are part of a bigger franchise model. It's perhaps no surprise that, here at Crewcut, we believe passionately that a franchise business is a much wiser pick by the discerning customer. When you call a lawn mowing franchise, you know you're dealing with a trusted brand. To start operating a franchise model in the first place, a company needs to have a solid business and a reputable brand. It means that from the minute they rock up at your place, you know they know what they're doing - charging prices that are sustainable and operating with practices that are tried and tested. A major point of difference between a franchise and an independent operator is the training they've received. In short, the independent guy might not have received any training at all! But a franchise business can rely on a structure that gives not only training but round the clock practical advice, so you know the person mowing your lawns knows what they're doing. When you choose an independent lawn mowing business, are you really sure your property and your family are safe? Because the franchise operator is running under a bigger umbrella, you can be sure they are fully up to speed with those health and safety codes. It keeps not just the operator but also your property and family safe and sound at all times. When that independent lawn mowing guy arrives at your place, are you positive they have all of the right insurance policies in place to protect you? With a franchise option, you can rest easy. Franchises recognise that public liability is the most vital type of insurance for a business, and it means customers and their premises are completely covered. While an independent operator will most certainly offer mowing, you might have a little more on your mind. And it's the franchise that will offer a range of lawn mowing services across the spectrum. We're talking hedges, garden tidy ups, tree trimming, and even water blasting and services in commercial settings. Whatever you need, there's a franchise guy who can offer it! As we discussed earlier, a franchise lawn mowing business is just the safer option from every point of view. But how do you know that? Because you've done your homework! Because a franchise business is based on a tried and tested model, you can research all about the company and its reputation before you make the selection, knowing that the quality service promised and the price offered will be delivered. And if something goes wrong, you've got an option to step up your query to the next level. There are plenty of independent operators around the place who are simply scraping by. A big reason for this is that they're all alone in the world in terms of building a reputation and getting customers. That's not the case for your franchise guy! They are keeping overheads low, business methods slick and always have a steady stream of customers. It means they can afford to keep their gear perfectly up to date and maintained properly, rather than an independent operator who is struggling simply to fill the diary. Ok, so you may find an independent lawn mower that you really love. But don't forget that he's basically a sole trader - meaning that when he's sick, your lawns don't get mowed! As a franchise is part of a big network of similar businesses, when problems strike, there will always be someone else who could pick up the slack. Finally, there's that all-important issue when it comes to your lawns: How good a job will be done? While it's true that there are plenty of good independent operators around, if you want a guarantee of quality, you should be looking closely at the franchises. Why? Because they're delivering for a brand which relies on quality and satisfaction to thrive. The final word: Back a franchise! Yes, you might have found a lawn mowing guy who has the oldest equipment and drives an old truck - but you love him! The moral of the story is that businesses come in all shapes and sizes, so it's up to you to do your homework and make as wise a decision as possible. And if you're lacking time for that process of due diligence, reach for the franchise option. You won't regret your choice - and neither will your lawn! If you’re looking at your neighbour’s bowling green-like lawn with envy while yours is worse for wear, then it’s time to point the finger at your pampered pooch. While there are many reasons why you’d find a lawn bald spot, your dog’s peeing habits are the most common one. Rather than give up altogether and let your lawn look like its suffering through a drought, we’ve listed some helpful lawn care advice below. It’s about time you gave your neighbour’s lawn a run for its money. The first step to achieving that coveted bowling green is to rip up the lawn bald spot or spots. 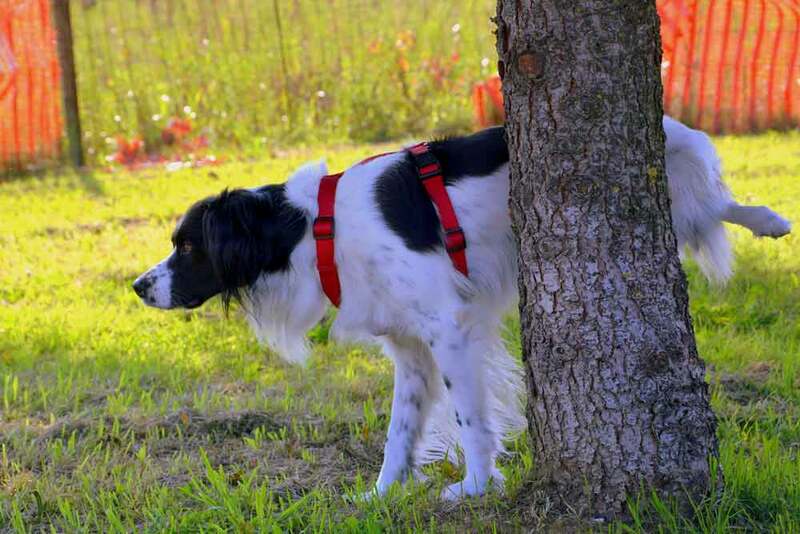 Dogs often urinate in the same place more than once, so you may find there are a few select areas around your yard that are worse than others. Because they urinate in those locations, you may wish to wear gloves for this task and use a rake. Fortunately, clearing the area of grass is not as labour-intensive as you might think. Because the grass and its roots are all dead, it can be a matter of dragging it out of the way to allow for new growth. However, during this lawn care process, it’s crucial to clear the spot entirely – don’t leave any roots behind. Roots may still hold urine from your pets which make the following steps all for nothing if you’re releasing the harmful pee back into the ground. The reason why your lawn dies after your pet has urinated on it is that the ammonia in the urine is exceptionally acidic. Your grass doesn’t like this and dies as a result. Even by removing the grass, you are not able to achieve growth while the soil is still acidic. Therefore, you need to go to a garden store and purchase a bag of garden lime. Take note of how much damage there is so you know what bag to buy. However, there’s no harm in having some left over for lawn care and maintenance later on down the track. Once you’ve purchased the lime, put your gardening gloves back on, grab a handful, then spread it over the lawn bald spot. Ensure that you cover the entire area evenly to balance your soil and promote growth. While you’re helping your lawn recover by applying lime, the job isn’t done. You then need to think about how best to let the lime do its job, and that means you need topsoil. Topsoil is what sits on top of your ground – covering at least 50-60mm. Typically, it’s rich in nutrients, dark in colour, and is crucial for revitalising the earth for new growth. You can buy this alongside your lime at a garden shop and then spread it on top of the lime. Allow for at least 25mm of coverage over the lime. You shouldn’t be able to see any lime through the soil. Now that you’ve put the steps in place for optimal growth, you can then buy the grass seeds and get the ball rolling. One of the first things you need to consider is what lawn type you currently have. Not every kind of grass is suitable in every region, nor will it tie in with the lawn you already have. If you aren’t sure what grass will work or what you have, take a few “samples” to your local garden centre, talk to a lawn care expert, and compare them to the varieties on offer. Once you’re ready to sow, there are few ways in which to achieve the perfect result. Firstly, be sure not to cluster the seeds together. Spread them out evenly on your topsoil then add more soil on top. Make sure no seeds are showing as birds will make quick work of removing and eating them. Just as you would with young plants, your new grass needs daily watering. If you live in a sunny region, it may be in your favour to water the lawn in the morning or later at night to stop new growth from burning. You may also like to avoid planting new grass during times of heavy rainfall to prevent seeds from being washed away. If you’re adamant that you’re going to have better lawns than your neighbour, then you may like to apply fertiliser. Fertiliser is a standard part of lawn care, and you can use it not only on your lawn but on the lawn bald spot to which you’ve just added seeds. Be sure to use an even application and opt for an eco-friendly brand. If you don’t possess green fingers and don’t have the time or inclination to remove that lawn bald spot, then call in the experts. Many different gardening businesses around the country will answer your call for luscious green grass. They can carry out the many steps to removing those lawn bald spots for good, while also keeping up with the maintenance of them as well. While it’s helpful to learn new lawn care techniques for getting rid of lawn bald spots, it doesn’t solve the problem in its entirety. If you want those dead spots to go away and stay away, you need to get back to the root of the problem: the dog. While we’re not saying you should give away your furry friend, we are saying that there are ways in which to correct the problem before it begins. There are now pee posts on the market which encourage your dog to pee in a “designated zone”. Rather than pee on your lawn, you can install this post somewhere else in your yard, then walk your dog to it until it learns that’s where it should pee. The post contained pheromones, as well as a bright and attractive colour, which encourage your pup to pee in this area rather than on your brand new lawn. The reason why a dog’s urine burns your lawn is that it’s highly acidic. If you purchase natural remedies which change the makeup of your dog’s urine (safely), then it’s no longer a problem. There are many dissolvable products you can add to your dog’s water bowl that can purify the water and provide less acidic urine at the other end. Having a lawn bald spot is not the end of the world, but it does call for ongoing lawn care and maintenance. If you follow these steps, you can repair the spots as and when they occur. However, if you’d rather someone else took care of the problem, get in touch with an expert team in your local area. Grass is grass, right? Wrong. Contrary to popular belief, the type of grass your backyard has might be different to that of your neighbours, and the process of caring for it might differ significantly as well. In New Zealand alone, the average yard has a chance of being home to at least one of six types of common grasses, if not more. know a little bit about that greenery in your own backyard. Out of all grass types in Auckland and surrounding regions, you are more likely to come across Tall Fescue, a hard-wearing, dark green grass, than any other. Tall Fescue is coarse in texture, bunches together, and stands erect even when trampled. If you’re interested in lawn care, this type of grass is most likely going to be the most recommended option for your backyard. It fairs well in low-water situations, adapts to various soil types, and is more tolerant to everyday wear and tear than some of the more delicate grasses available. What’s more, the seeds are affordable when you’re looking to sow grass yourself, and lawn mowing is a breeze. Tip: Plant at least 50 grams of seeds per square metre and mow down to a minimum height of 50mm. Fine Fescue is not necessarily one type of grass; instead, it’s a collective of many different Fescue grass kinds found throughout the country. Fine Fescue incorporates red, hard, sheep and chewings fescue – variations of each other but with defining factors. When you’re beginning to take a real interest in lawn care, ask for advice on the best type of Fine Fescue for your exact needs. Rather than be quite broad in the leaf like many other kinds of grass on the market, Fine Fescue is more narrow in its appearance. 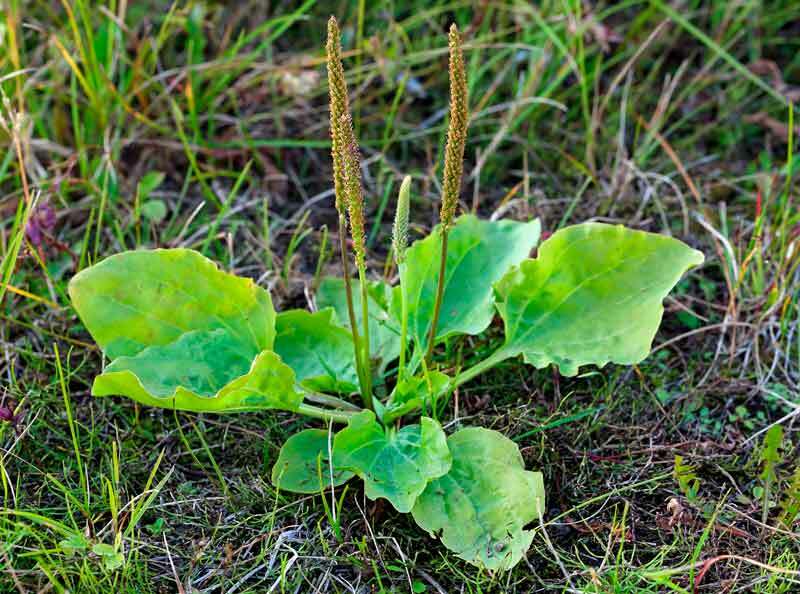 In fact, its leaves are typically quite easy to spot because they are more likely to be needle-shaped opposed to broad. This type of grass tends to mat together quite well and is suitable for areas that don’t get a lot of sunshine, but it does tend to suffer when faced with impact. Therefore, if you have pets or children who love to play outdoors, Fine Fescue might not be the best option for you. This type of grass, when faced with drought conditions, can also suffer more than most. It is known to go dormant for periods of time, before coming back to life almost wholeheartedly when autumn showers roll in. It’s typically quite clever at defending itself against black beetles and is also easy to protect from foreign grasses. Tip: Mow down to a height of 30mm and be aware that the seeds are slow to germinate in the beginning. 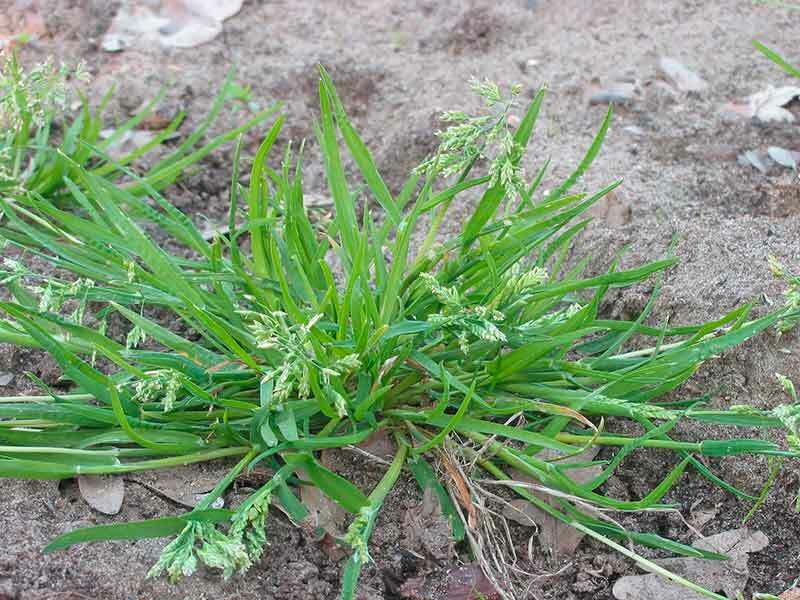 While Couch Grass is becoming a more common type of grass, it’s also quite an evasive one. Therefore, if you find yourself growing this rugged, robust grass, it’s helpful to read up on correct lawn care techniques. You want to be able to control it, rather than let it control you. As it grows sideways, it’s a popular option for backyards that have a lot of foot traffic – such as those with children and pets. Even daily trampling is not enough to see it die away. However, if you live in an area with shade or frost, it doesn’t tend to flourish all that well. Instead, it waits for soil temperatures to increase before it takes off – often in the direction of your prized perennials. If you live near the beach or your soil traditionally has high salt content, Couch Grass tends to be the best grass for these situations. Tip: It has a highly intricate root system and has been known to overtake gardens and pathways. 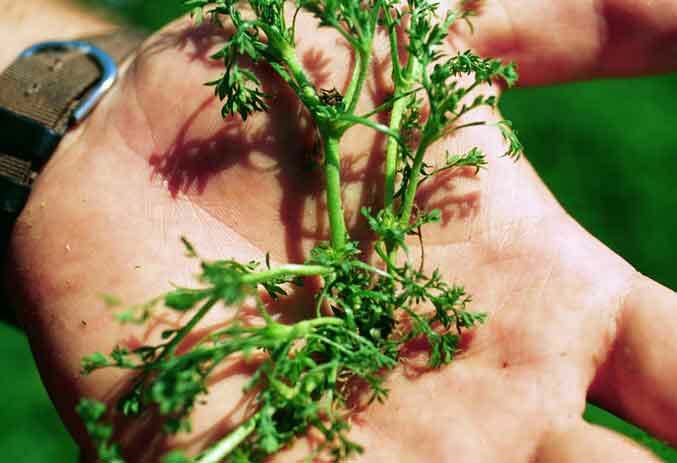 Get trigger-happy with herbicides to keep it on a short leash. Similar to Couch Grass, Kikuyu is another type of hardwearing grass that’s perfect for the family of pets and children to play on outdoors. It’s typically found around coastal areas of New Zealand and tends to be robust while handling all kinds of extreme weather. However, it does pay to have a bottle of herbicide at the ready, and a bit of lawn care knowledge as well. Kikuyu Grass, while hardy, can be a weed. Once it finds its way into your gardens, the roots embed themselves making it difficult to reclaim the area. 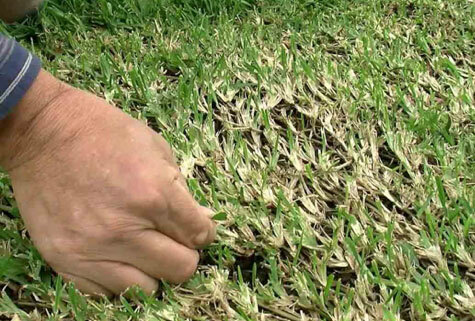 Tip: If you live in an area that’s typically quite sunny, Kikuyu Grass thrives. This is popular as a sports field grass especially during winter as it has a positive recovery. Doesn’t like the shade too much and it needs ongoing watering. This is good for full sun exposure. Mixed blend is not usually a highly sought-after grass type. If you have your finger on the pulse of lawn care, you would certainly opt for a more low maintenance variety such as Tall Fescue. However, if you do happen to have mixed blend grass, you’ll know about it. Mixed blend, as the name suggests, is a mixture of various types of grass seed combined. When you sow it, it can germinate at different rates – with some areas thriving a lot better than others. Once it’s fully grown, however, it does take a little bit more maintenance than other varieties, such as with lawn mowing. It can be a bit more tricky to keep under control, can wander when given the opportunity, and can prove to be a breeding ground for various weed kinds. Then, as it’s not always noticeable what blend it is, you can have trouble trying to find suitable herbicides to kill weeds but not the grass. It’s not an unattractive lawn type – being ideal for all kinds of backyards and scenarios – but if you have a choice, you’re better to go with Tall Fescue or another variety. Tip: Make sure you edge this variety well, providing no freedom to roam to nearby garden beds. 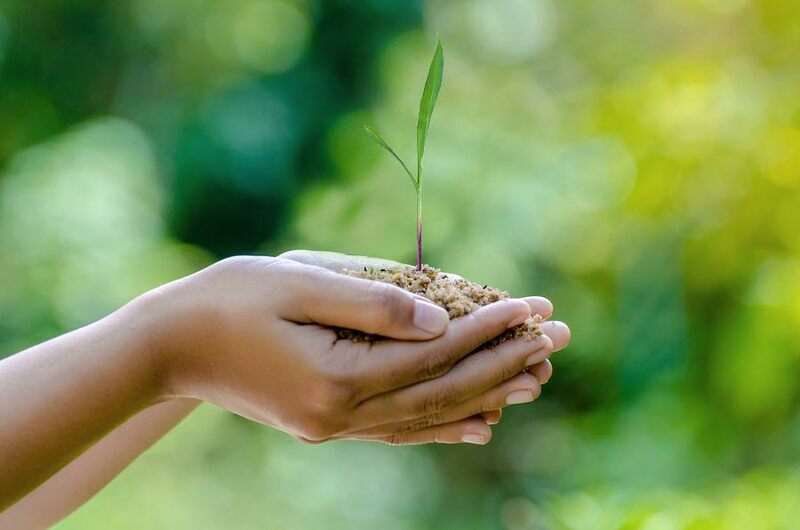 The New Zealand climate can vary greatly depending on where you live, which makes certain types of grass seed suitable for some areas and not others. However, no matter where you live, you can rest assured that Crewcut can keep your lawn looking in tip-top shape. Just give us a call for all of your lawn mowing and lawn care requirements. A bare lawn can be a challenge unless you know what to do with it. It’s also the less expensive route to take if you are planning to transform the appearance of your home or garden. However, there are some tips to keep in mind before you plant that first seed in all that waiting dirt. There’s more to planting grass seed than just raking up the ground and tossing down some seed. One of the first things you need to figure out is what type of grass will grow in your climate. Warm-season grasses won’t grow in areas where it gets cold, and cool season grasses won’t grow where it gets hot. If you live in a cool season climate, the best time to plant your grass is late summer to early fall. This is because this type of grass grows best in the fall, spring and some areas, even winter. When grass seed is planted in late summer or early fall, the ground has still retained enough warmth for the grass seed to germinate quickly. Then the young seedlings have enough time with the upcoming cool season to become firmly established before the first lawn mowing. But, you can also plant grass seed in the early spring in a cool-season lawn. It’s the second-best time to plant because of the hot weather, and the young shoots of grass will have less time to become established. But you can still get good results if you begin seeding early enough in the season. With warm season grasses, they are planted in late spring to get the best results. The weather is mild enough, so your grass seed will become established. But, with the heat of summer, the most vigorous growth of your grass will be starting soon before a much-needed lawn mowing. You will also need to think about what the lawn is being used for. Is it going to be used for pets or heavy foot traffic? Is it just to look at or a place for the kids to play? Once you've decided which it's going to be used for, then choose the grass for your area and your needs. Planting a new lawn can be a big job, and it may be better to start with smaller sections to keep the job manageable. Plus, if you don’t have an inground sprinkler system, it makes it easier to water the new seeds. The first thing to do when doing is to remove any old turf which is of poor quality and weeds. You can do this by digging it out with a flat-bladed shovel and making sure to remove all the roots when you do. Or, you could apply an herbicide and use a sod-cutter from a rental place to remove the plant and the roots. Plus, if your soil is compacted, then you will need to use a rototiller to break up the clumps. Another critical consideration for lawn care is to keep in mind is when preparing the area, be sure to gently slope it away from areas or building which could be damaged by standing water. The general rule is with every 100 feet of distance, allow a one-foot slope. You may find that some areas will be lower or higher than other areas, so you'll need to grade it to have a smooth appearance. You might have to buy some extra soil to accomplish this so try to match the earth which is already in your yard and mix it with what you have. The next step is to check the pH level of your soil. Most grasses like a pH level of between 6.0 to 7.5. So, if the pH doesn’t match these numbers, then you’ll need to adjust the soil pH. You can amend your soil with fertiliser, lime, sulfur or organic matter depending on what the pH levels are. Using a power tiller to work in what amendments are needed is easier than working it in by hand. At this point in your lawn care program, you can spread a starter fertiliser which is high in phosphorus and soil conditioner or compost. You will need to also till this, so it’s worked into the soil. After amendments are added, then use a landscaping rake to level the ground out. Remove any rocks, stones or debris which you find, water the earth and make a thorough check for puddles. If you see a puddle, allow it to dry thoroughly and then add soil from a higher spot. You will need to roll the soil to prepare a firmer base and foster adequate structure in the ground. Fill a lawn roller about one-third of the way with water, and for optimal planting, roll until your footprints are not thicker than ½ inch. This is because if the soil is too loose, then the seed will get too deep and will die before it ever reaches the surface. Finish up by watering the area to a 5-6-inch depth two days before you plant your grass seed. When getting ready to plant your grass seed, you need to pick a windless day. Using a rotary or drop spreader, sow seed evenly. You can cover the seeds by using a lightweight rake and dragging the back of it over the area. Or, you can apply a one-inch layer of mulch if the weather is going to be hot and dry or there’s going to be drying winds. Water thoroughly but not enough to wash away the seeds. The next step in the lawn care process is to keep the area which is seeded most for about three weeks or when the grass has sprouted. Water briefly, maybe even 3 or more times a day, during periods of warm weather. 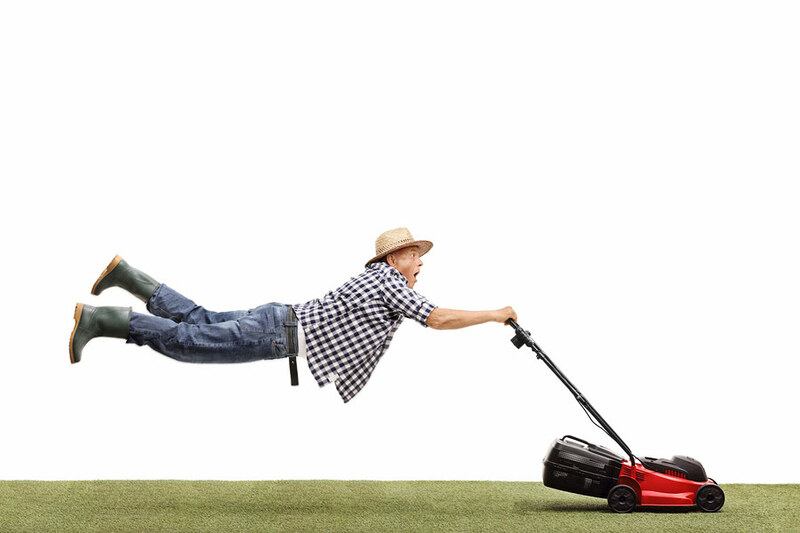 Lawn mowing can be done when the grass is one-third more than it’s optimum height. Be sure to mow slowly, so you don't disturb the tender roots. Water often after the first lawn mowing, making sure the top inch of soil does not dry out until your lawn has established itself in about six weeks and four lawn mowings. When you start a lawn from scratch, it isn’t difficult if you know what you’re doing. For more helpful advice on lawn care, be sure to check out our other lawn articles or contact a helpful Crewcut operator. Feeling a bit less eager to jump out from the warmth of your bed these mornings? After some wild weather in most parts of the country, winter has snuck up on us and is almost here. The drop of a few degrees making us part with our beloved shorts and tees and reluctantly bring out the woolies. Flannelette sheets, electric blankets and bottled water is flying off the shelves. Panic is setting in to be prepared for upcoming weather systems - but how do we approach lawn mowing in between these winter wet weather spells? Just because a cold frost has hit, doesn’t mean your lawn has to look any less inviting. In the summer months your lawn thrives with heat and sunlight promoting photosynthesis. You have probably been struggling to keep up with cuts in this summer’s humid, tropical weather so a crisp cool breeze is a bit of relief right now. Your lawn has been a champion during summer coping with scorching heat, being flattened by kids and hopefully the brown patches from backyard tents have disappeared. It’s time for a bit of TLC, so here are our answers to any questions you may have about mowing in the winter months, because your grass doesn’t stop growing completely, just at a slower rate. Should I continue to mow the lawns in the winter months? During the winter we suggest getting your lawns cut every 3-4 weeks (depending where you are in the country, it's best to check with your regular Crewcut operator). Keep a cut that will stay upright. Once it gets too tall the grass begins to bend over and shade itself which can encourage disease. Lawns are plants too, they need airflow! Due to the larger amount of rain it can be difficult to find a good time between showers, but just keep an eye on the weather or keep in contact with your local mower. How do I mow the lawns when they're wet? Your parents have told you, your friends, and your neighbours all have their own thoughts on mowing when wet. A light shower is manageable, a quick clean of the mower afterwards and you’ll be fine. After longer periods of wet weather it can be more dangerous; and for someone who takes pride in their lawns, the cut won’t be as good. Our advice - avoid it if you can after heavy rainfall. Putting a mower over wet grass and muddy grounds can do more harm than good. 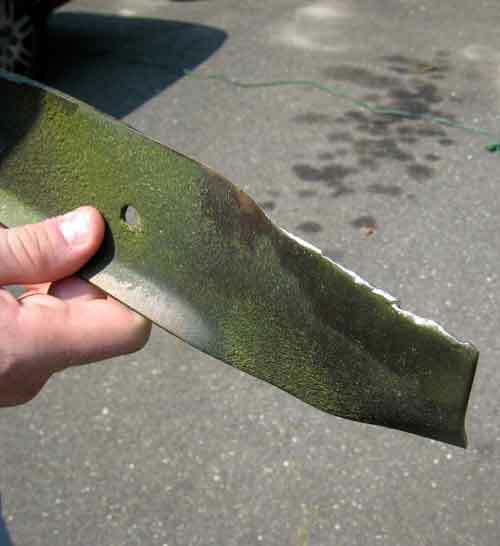 The mower blades can dig deeper into a soft lawn; killing new grass sprouts. If the grass is too long or heavy with moisture it can bend over, giving an uneven cut. A good test - if the lawn sinks when you walk on it, it’s too wet. So for those lawn perfectionists, sorry you may want to leave it a bit wild for the time being until it has a chance to get dry with some rays. How do I keep debris under control? 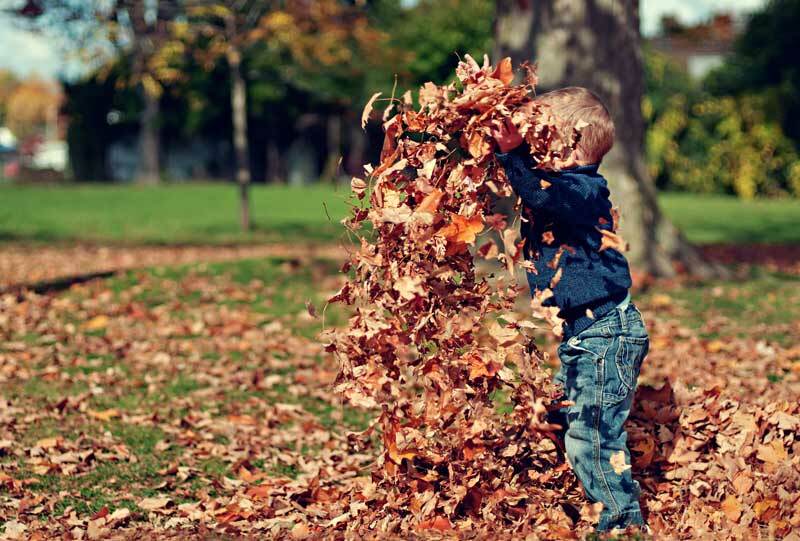 Raking and keeping any fallen branches or leaves under control is a must in winter! A pile of leaves, grass clippings and anything else that comes over from your neighbours lawn will become a sopping pile of dirt come spring. If you only have a light layer of leaves you could mow and mulch them over your lawn instead. The small, cut up leaves can be a good form of compost for your lawn in winter - as long as the grass isn’t weighed down. Can I walk on the wet lawns? 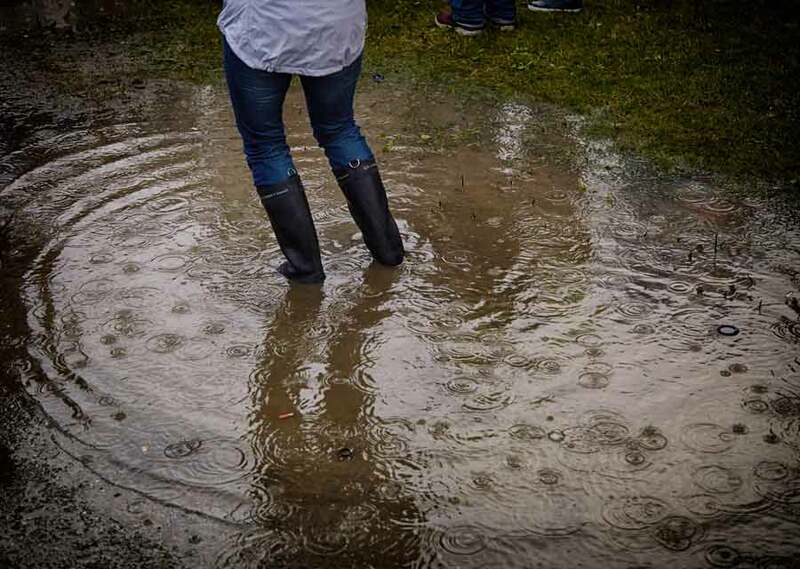 The best cure is prevention, so if you’ve had recent flooding or heavy rain try not to walk on the lawn when wet. This will compact the soil, if you leave wet footprints behind you - it’s too wet! Come Spring you will find the soil is patchy and not quite what you would like. If you’ve been having trouble with flooded lawns and looking to do something about it like installing a rain garden or using mulch to absorb the excess water. Your compost heap might not be so quick to break things down, so do consider cutting things up a bit smaller to help the process along. Make sure you keep your compost a bit warmer, every time you top it up with scraps, throw a layer of leaves, sawdust or other carbon material on top for insulation. You could also think about insulating the outside with hay, a tarp or black plastic to keep it toasty. If your compost is covered from any weather storms, make sure you give it a water every now and then as cold winds will leave it dry. Or if you haven’t started any sort of compost - read our article 'The Secret Magic of Composting' to find out more. If you have any hedges or shrubs, late winter is a great time to trim or shape them. This gives your hedge a good start when it has it’s growth spurt come Spring. Wait for a dry day to remove any broken branches and trim so the light can reach the lowest part of the plant. If you’re tackling a large piece of hedge and keeping it straight sounds a bit daunting - try using a string as a guide. Or if your hedge might need some heavy equipment we recommend consulting with a hedge trimming specialist, such as your local Crewcut operator. Add organics such as compost, worm farm liquids and small chopped leaves to your gardens at the end of autumn so they have time to break it down to rich soil. Making more successful germination when it comes to spring. Now is the time your lawns could use fertilisation if you want as they will lose nutrients through winter - or simply fertilise organically by mulching some leaves over. Lawn mowing and garden maintenance might not seem so important in winter - but you can take some precautions to ensure they are in top condition for spring. Mowing as recommended in the winter will help prevent disease, promote healthy growth and is easier to maintain if strong weather does bring some heavy rain. Winter is definitely a time to stay indoors and keep near the fire - but don’t forget about those gardens either! Now is the perfect time to prepare, so there’s no excuses to complain when your Spring vegetables don’t grow. But, we don’t blame you if you aren’t too keen to get outside when it gets chilly. So keep an eye on the weather or have a chat to your local Crewcut operator to see what services they offer in the colder months. Our lawns can look every bit the picture of perfection in the summer months. They’re a vibrant shade of green, the sun’s shining, and the kids are enjoying making daisy chains in the luscious green grass. Then winter hits, and it’s almost like a switch has been flicked. Rain can turn your previously perfect lawn into a temporary swamp, moss and its distant relations make an unwelcome appearance, and the grass to mud ratio is a little overwhelming. Lawn mowing also becomes a distant memory too as you swap the sunhat and mower for a pair of gumboots and a jacket. 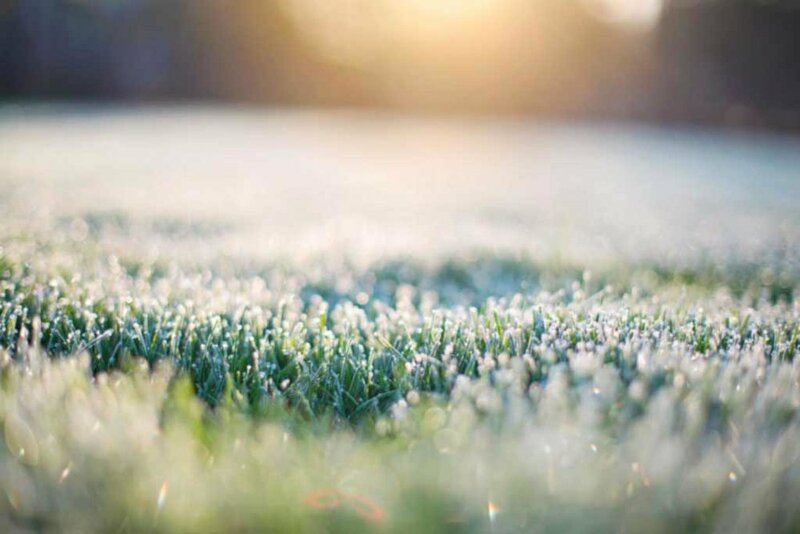 There’s no denying that winter can test our lawns to their absolute limit, but there are ways in which to reduce the impact it has. Keep on top of lawn care and don’t let winter win the battle. Here are four common winter lawn problems and how to solve them. No matter how many times you give moss its marching orders, it seems to keep coming back. Not only can moss be an eyesore – crowding your grass and making lawn mowing all the more difficult – but it can also be dangerous. Moss works its way into your lawns, pathways and any crack it can find, creating a slippery layer that heightens the risk of slips and falls. Therefore, getting rid of moss sooner rather than later is crucial not only for your lawn’s appearance and health but your own safety as well. It’s helpful, first, to understand why moss grows. It doesn’t appear without reason, and you’ll notice a lack of it during summer and in well-lit areas. Moss thrives on shade and dampness, so the more of that you have, the higher the instance of moss. You’ll most likely notice it around the base of trees, around edges of your lawn where fencing creates pockets of shade, and around shaded pathways as well. Anywhere that doesn’t have sun or light is a breeding ground for this unwanted guest. The problem is, you can tackle the problem with sprays and chemicals, but if you don’t address the cause, you’ll never get rid of the moss. What’s more, spraying your lawn without knowledge of correct lawn care can be a recipe for disaster. There are many things you can do to give moss on your lawn its marching orders, but it takes time. Firstly, take a look at your lawn area as a whole. Can you rectify the problem by removing the items creating the shade? Where possible, prune trees to allow more sunlight through, and this can dramatically reduce the instance of moss. If fencing or neighbouring properties are the problem, you might have to take a more proactive approach. Instead of keeping those moss-laden areas as lawn, why not turn them into a garden area with plants that love shade? Alternatively, rake up the moss, add lime to it if previous soil tests show the area is acidic, then fertilise the grass to encourage prosperous growth. If winter casts a dreary shadow over your lawn, or your soil has poor drainage, you may begin to notice that Liverwort, a dreadful cousin of moss, starts to take over your yard. You may only see it during lawn mowing, but when you do, you’re sure to let out an audible groan. Liverwort is a terrible flat green and stemless plant that causes no end of grief for homeowners. It grows on pathways, lawns, and anywhere with shade or moisture. However, with adequate lawn care, you can remove the problem. Try to reduce the shade by cutting back plants, aerate the soil to improve drainage, and try to avoid walking on the grass when it’s wet. It may also be beneficial to undertake a soil test as Liverwort tends to grow where nutrient levels are low, and acidity levels are high. You can then hit Liverwort where it hurts and buy a moss killer. For best effect, apply this before winter or in autumn, and avoid cutting your lawns for at least a week. Once the Liverwort has died, rake it out and use fertiliser or a similar product to promote grass growth. Many sections in Auckland and surrounding areas are sloped. While this can allow us to flex our creative muscles regarding landscaping options, it does create some problems with poor drainage. It can cause your lawn to become patchy, create pooling that doesn’t drain away, and of course, creates a boggy mess you’d rather be without. Poor drainage is not something you should leave to get worse. With torrential or relentless rain – particularly in winter months – it can create problems for both you and your neighbours. Therefore, it’s crucial to get on top of the problem sooner rather than later. The most common way to fix poor drainage is through aerating your soil. When your lawns become compacted, or you have trees dotted throughout your property, the soil tends to clump together and loses its ability to drain water. Trees are by far the biggest problem. If removing the trees is not an option, use a garden fork to create drainage holes. Doing so can encourage rain to go into the ground rather than pool above it. When you’re lawn mowing, you tend to take notice of all the imperfections in every part of your lawn. If you have a dog, you may notice them even more. Aside from little holes dug with little paws, you may also see brown spots burned into the lawns. These burn patches are caused by nitrogen in your dog’s urine. While it might only be a small amount, it’s enough to scorch your lawn to look as if it hasn’t seen water in years. In summer, these burn marks are easily fixed by rapid grass growth, but in winter when the grass sits dormant, the repairing process can’t begin straight away. Before you know it, your lawn looks like a desert wasteland. However, you don’t have to put up with these burns forever as there are many different ways in which to solve the problem. After your dog urinates, you can spray the area with water to dilute it, or you could encourage your dog to either pee in one spot or drink more water to dilute the nitrogen levels. Then, once summer hits, rapid grass growth will solve the problem entirely. There’s no denying that winter can cause no end of trouble in our backyards, but that doesn’t mean we can’t be the ones in control. Stay on top of lawn care and reap the rewards of a lawn area that stands up to the elements all year round. If you need a bit more help around the garden this winter - be sure to get in contact with Crewcut for some helpful advice. Ahh, the famed Kiwi summer. There could be nothing better than endless sunny summer days out playing backyard cricket, wearing jandals, and gathering around the BBQ. In fact, most summer days are spent outside with friends and family in the backyard taking part in a range of fun activities on the lawn. Here are some tips to help prevent your lawn from drying out even further. While having fun in the sun is the most important thing about summer and the festive season, it’s important to remember not to forget about your lawn maintenance and lawn care. The last thing you want is to walk onto your previously luscious grass only to realise you now have a dry lawn – and not a very nice one. With a lack of rain and a lot of use, it doesn’t take long before you say goodbye to your vibrant and soft green lawn and reluctantly welcome hard, dry, and dying grass to take its place. However, not all is lost. There is so much you can do to prevent a dry lawn, and all it takes is a little lawn maintenance. It seems counterproductive, but the best way in which to keep your hair growing longer is by cutting it shorter. The same unusual concept applies to your lawns. Rather than have the mindset of “the lower you cut it, the longer it is before you need to mow it again” keep the height a little longer. When you cut your lawns too short, the grass isn’t able to produce energy to grow. Then, it will die off, which not only means your backyard looks terrible, but it means you now have a dry lawn that will take so much longer to grow back – if at all. When you go to cut your lawn, keep it at a medium length. When you do, the roots are stronger, thicker, and can withstand even harsh summer conditions better than grass you’ve cut down to the dirt. If you’re unsure how to maintain your lush lawns, contact your local lawn care experts. If you’re enjoying the intense summer sun, but your lawn isn’t, then it’s time to take action. Your yard needs some TLC, and you need to keep on top of lawn maintenance to ensure it remains vibrant and green throughout those warmer months. If your council hasn’t imposed water restrictions, the following information can help. However, if there are water bans in place, be responsible and let your lawns succumb. It might be tough, but drinking and washing water are more important than water for lawn care. However, if you can keep up with lawn care, or have wastewater you can spare for your lawn, then you don’t have to welcome that dry lawn with open arms just yet. Rather than drench it sporadically and hope it’s going to grow, however, it’s a good idea to water it a few times a week when it starts to cool down at night. If you water your lawns during the heat of the day, you run the risk of burning new growth and evaporating the water before it works its way to the roots. It might seem like the more fertiliser you add, the thicker and more luscious the lawn, but that’s not quite how lawn care works. Instead, if you apply too much fertiliser, you can burn the grass and have the opposite problem. Dry lawns are an issue you can combat, but only if you make sure you read the instructions when using any product. The last thing you want to do is re-sow your lawns because you misread the fine print. If in doubt, get in touch with lawn maintenance experts or talk to someone when you’re buying fertiliser. It’s better to be safe than sorry when it comes to the health of your lawn. In summer, there’s nothing quite like a game of swingball in the backyard, a few rounds of cricket, or even a game of tackle. However, as that lawn begins to dry out, it might be a good idea to keep those games for your local park instead. The more time you spend on that dry lawn, the more compact the soil. Then, when rain does finally arrive – or you water it – the grass may struggle to absorb all that much-needed moisture. Stick to the concrete and playing fields for all your outdoor activities – just until your lawn has time to recover. Lawns with grass clippings all over them aren’t the prettiest sight, but during summer it’s a necessary sight. When you mow your lawns to encourage growth, cut the grass with the catcher off. The lawn clippings will help to keep moisture in the grass that may be struggling with a lack of rain. If you see any grass clumped together, spread it out a little more evenly so your lawn can still breathe. After two to three weeks without rain, grass can go dormant to protect itself. However, after about six weeks with no rain or moisture, there’s a high risk of your lawn dying – with no chance of revival. If you’re facing this genuine possibility, it might be time to consider a new lawn type. Depending on where you are in the country, you may find that drought-resistant lawn could be in your favour. Some regions tend to have more extreme weather than others, and making sure your lawn, for the most part, can handle the extremities is crucial. If you have to start from scratch, talk to a lawn care expert about the best type of grass for your region. With all these things in mind - we know how difficult it can be to keep the lawn looking its best. Trust us; we have over 25 years’ experience. If you're thinking you need a little bit extra help, be sure to contact the friendly Crewcut team. We can offer advice or additional garden services.